Sarah Cheyne, printed textiles and embroidery specialist, will be introducing the Hand & Lock Competition brief tomorrow, 8th December, at 4pm in the Clean Room. Make sure you go along if you’re interested in entering. Hand & Lock, the 247 year old embroidery atelier to European fashion houses, the British Military and The Royal Family has been running the prestigious embroidery prize since 2000 and now offers a prize fund in excess of $26,000. The Prize is an invaluable opportunity for new designers to showcase their finest creations and potentially win a share of a life changing prize fund. Previous Prize winners have been able to fund their designs, start their own businesses and go on to have great success. The Hand & Lock Prize for Embroidery 2016 will be structured differently from previous years encouraging the use of Embroidery in Textile Art as well as Fashion. We live in an ever increasing consumer world in which instant gratification fuels rapid purchasing trends, often resulting in design that is unpolished or has mediocre production quality. “Buy less. Choose well. Make it last. Quality not quantity. Everybody is buying far too many clothes.” Westwood, V. (2013). Designers and artists need to make a concerted effort to react against inadequate design. The aim of this brief is to create quality design that consumers will cherish for years rather than dispose of when a new trend arises. The product should be well crafted. Be creative with materials and processes to achieve quality design that is designed to last and stand the test of time. The dialogue between art and design is well established throughout history. Modern art can inspire design, and relevant concept development, thereby making your work more socially and culturally aware for forward-thinking design. Being able to anticipate what will happen in the future puts a designer in a position to make better decisions; to ensure their work is relevant, inspiring and sustainable. Artists and designers looks to the past to inspire new ideas for the future. For this brief we ask you to choose one established artist, and one archive, to research and inspire your own project. Consider contrasting and mixing ideas and inspiration from your findings and designing something truly unique. 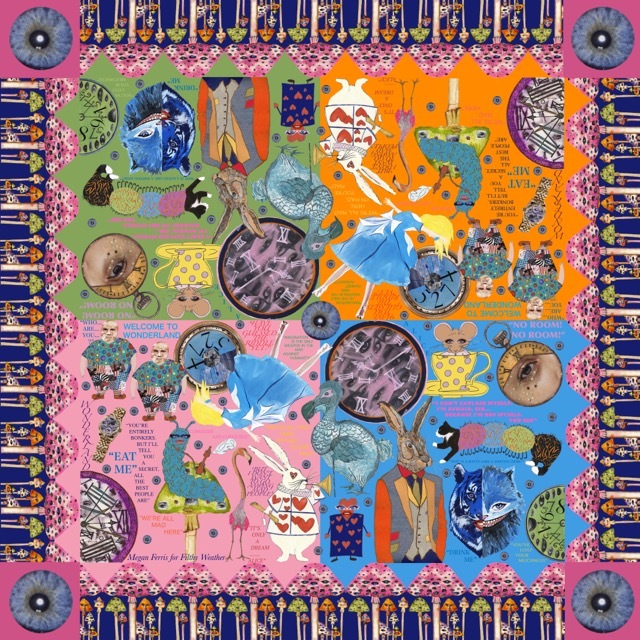 Fashion and textile designers borrow the form, materials, concepts and techniques of artists and decades in fashion; surfaces, colour, design and sculptural shapes impact on new fashion creation and innovation. Careful consideration should be taken when it comes to colour. We want to see that you use colour as an integral component of the design process. Colour is reputed as the first thing that consumers are drawn to when considering design. Your designs should be suitable for a contemporary consumer design market be it fashion, interior design or pure art. Year 2 WSA Fashion Design student Rhian Owen is one of six designers to be selected for this years #Enliven15 Fashion upcycle project and competition. Through the project Rhian has worked with local charity shop CLIC Sargent to develop clothing cast-offs into an upcycled fashion design. All #Enliven15 outfits will be exhibited at the Summer Open Studios event in Eastleigh this weekend. Members of the public will be able to view the upcycled fashion designs and meet the designers as well as look around The Sorting Office which is home to 16 professional artists and designer-makers. The upcycled fashion designs will also be entered into a competition judged by the award-winning designer Mia Nisbet. The winner will receive a career development bursary as well as further exhibition opportunities and other prizes. 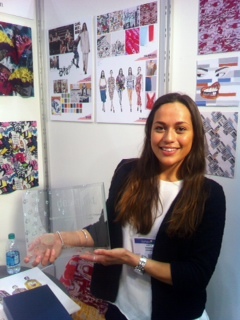 Lucy Harris, in her final year of Printed Textile Design at WSA, has be announced as the Grand Prize Winner at Surtex International Design Competition out of 4 design students around the world. Lucy has been in New York this week showing her winning collection ‘Side Streets’ based on New York youth culture in the 1990’s as part of the first round of the competition. 2014 Fashion Design graduates Naomi Hatherley and Hannah Inskip were shortlisted to show their collections at a Street Style Fashion Show in London for the company Otterbox. Only five students across the country were selected. Naomi won the overall prize of £1000.